Enter the name or word up to 10 letters and your colour choices for the letters and the flag. 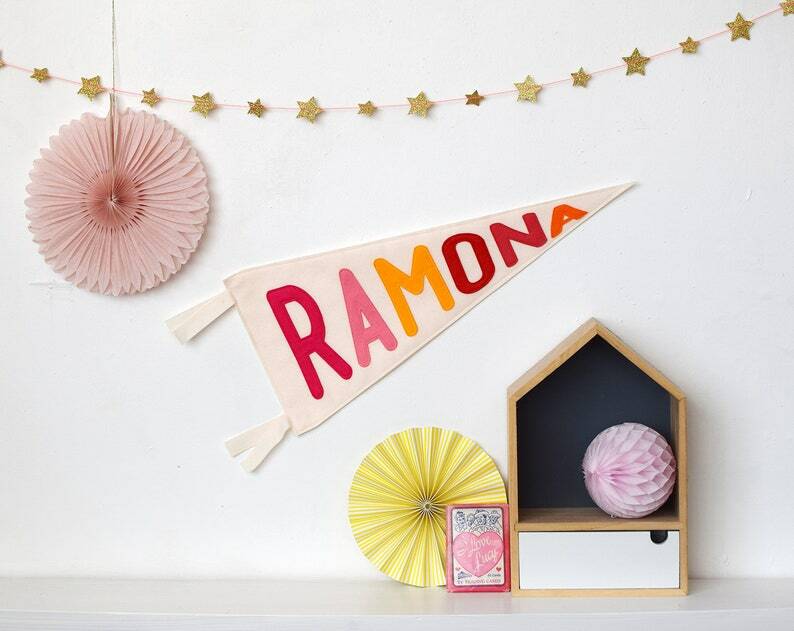 A personalised felt pennant flag that will bring colour and personality to any wall its hung on. Personalised with a name or word and made in colours of your choice this pennant flag is perfect for hanging in a nursery, child's bedroom or playroom. This felt flag makes a thoughtful gift for a new baby or a child's birthday. Flags are dispatched within 5 days via Royal Mail 1st Class. In LOVE with this pendant! We get so many compliments on it.